Been fishing since as long as I can remember, following my dad. 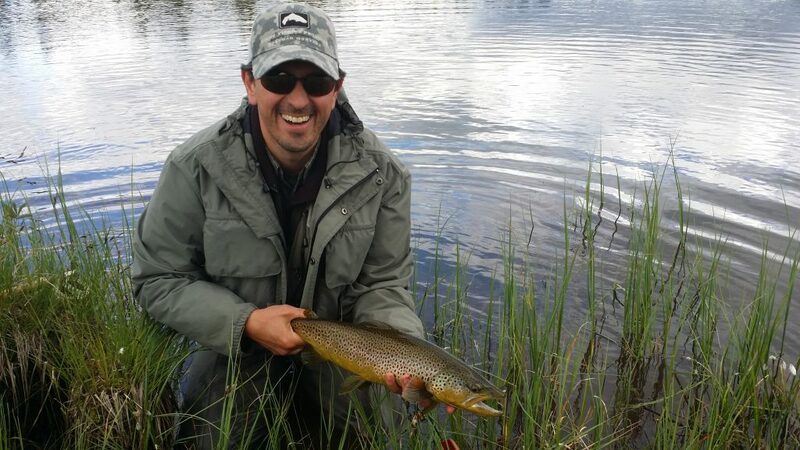 Started back in the foothills of the Pyrenees where I’m originally from with floaters after chub and barbel mostly, then moving onto fishing trout in the mountain streams and picked up fly fishing when I was 17 after getting a book with some instructions…. Things got worse when I moved to Sweden and found heaven! Not so many streams around the house, mostly put-and-take lakes stocked with rainbows. The coast around Stockholm is otherwise quite good for Seatrout, Pike and Perch. What I consider to be my home water is the Österdalälven, where I have my cabin. Around 400km from Stockholm, in Dalecarlia, large tailwater section literally filled with Grayling and a growing population of Brownies, of which some become very large… very technical water as it doesn’t freeze and the fish have an abundance of food all year long. The Baetis hatches can be spectacular…. The height of the season is late June/early July, when the nights are at their shortest and you can fish 24h-a-day! Nothing like a long night session when the first caddis are in the air! But late season in October, when nobody is on the water, birch leaves are turning yellow and the first frost is in the air can be magical…. My favourite destination is Iceland, magical landscape and some spectacular waters! The brown trout and searun arctic char fishing is second to none. My bucket list is very long, but at the very top, no doubt: NZ! NZ! NZ! But there are many more: Montana, Wyoming, BC, Alaska, Patagonia, Mongolia…. Depends on the time of year of course, for nymphs, the “blank” saviour is always Hare’s ear, and for dries, the Wicked, a version of an Elk Hair Caddis created by my friend, writer and guide, Stefan Larsson.